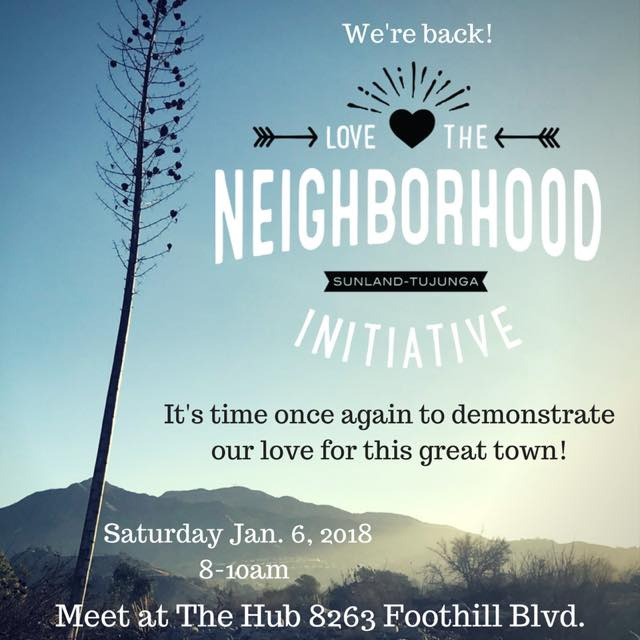 Sunland-Tujunga Neighborhood Council › Love The Neighborhood Initiative is back! The Love The Neighborhood Initiative is back! Please support by loving the Neighborhood and joining the cleanup. This Sat meet up at the The Hub at 8am for donuts followed by the cleanup. Bring the family!